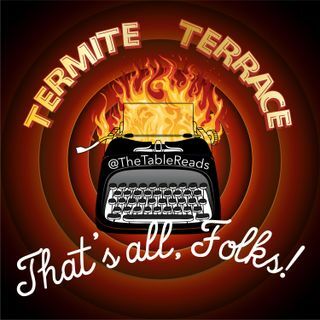 It's the Looney conclusion of Termite Terrace! You'll find out what this has all been building to! Spoiler: think of the most groundbreaking and/or popular and/or revered cartoon character to come out of the Warner Bros animation department... IT'S NOT THAT ONE. No, this film builds up to... nothing you would expect to be the culmination of the story of the creation of the Looney Tunes. It's like if a Biopic were made about Stephen King, where the big finishing note was ... See More a shot of the manuscript for Rose Madder. Table Reads will return with William Goldman's SHAZAM! -- As well as an all-new Table Reads lineup! It's a new chapter for Table Reads and we think you're gonna love it!